Yukirin is currently in 2nd place after the preliminary results which includes about 1 day of voting. 2015 2nd 33,426 ?? ?? As usual, the final results will be unpredictable! All the more shocking when Yukirin is still up there after all this time! And you weren’t kidding, she all but doubled her votes from the last prelim!!! I said it already but I hope this translates into her final results! That would show them! 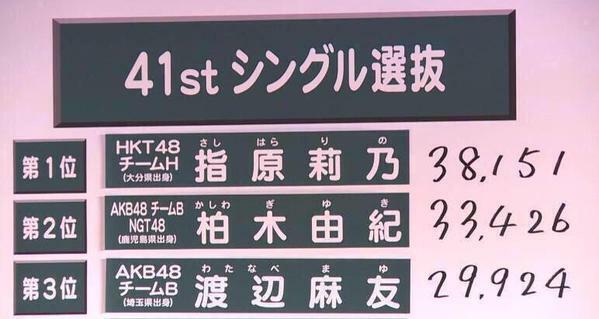 Thanks for the info sillythings and what a short gap btn Yukirin and Sasshi! This is gonna be delicious, I can already smell it!